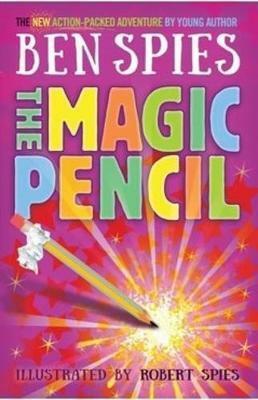 It all starts when Bob finds an innocent-looking pencil (innocent but for the piece of tin foil attached) which turns out to be magic - anything it draws becomes real. Which in turn means a gang of bad people want it for their own dastardly plans. Bob is soon on the run to keep the pencil safe, aided by his friends and a strange but helpful Old Man. Full of imaginative scenarios, this is a children's story written by a child and as such features much of the things they love - action, narrow escapes, good guys and bad guys, and lots of high energy. When it comes to writing, a lot of new writers tend to forget that they need a plot with a beginning, middle and most importantly, an end, however this is not a trap that Ben has fallen into - his plot follows a good thread with mounting action and a nicely closed loop at the end. He has also done a fine job of dealing with multiple characters and keeping them all in the right place at the right time. The book is self-published with illustrations by Ben's father, Robert Spies. The cover is well designed, brightly coloured and eye-catching, and overall the design and finished product are great, showing that a lot of effort has gone into creating this project. Kudos to Ben's parents for encouraging and supporting his writing passion by turning his work into a real, live book.